J. D. Jessup left his old life to come find solace in the desert near Tucson, Arizona. He’s traded his guitar and the songs in his head for the daily grind of an organic farm. It’s a mind-numbing existence that helps him forget his past and dulls the pain of his memories. His boss just has one rule for him: if he sees an illegal, call Border Patrol. A fairly simple rule that he has been able to follow very easily, until one Thursday morning. 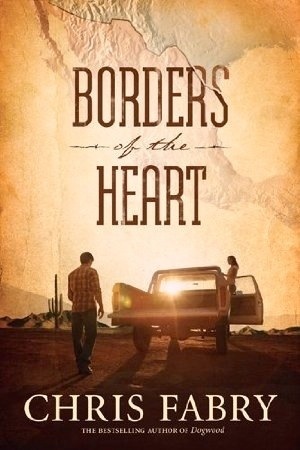 One early ride along the fence line leads him to a beautiful young woman named Maria. Despite his boss’s rule, J. D. can’t leave a near death woman to the authorities. So following his heart, J. D. decides to hide her and heal her instead of turning her in. Little does he know the chain of events he unleashes at that choice. Now everything he knew has changed his simple mundane life has gotten a lot more exciting. On the run from a determined killer, J. D. tries to decipher what is going on and why Maria’s life is in danger. Struggling to stay alive becomes harder than they thought when they seem to know exactly where they are at all times. When J. D.’s secrets collides with Maria’s past, J. D. begins to realize that saving her may be the only way to save himself. Can J. D. and Maria stay alive from a determined a killer or will they’re attempts to stay alive be for naught? Can J. D.’s past and secrets be the death of his new life and his budding attraction to Maria or will it just make him closer to everyone? Will Maria be able to stop the killer before he succeeds in his plans or will he get to her and finish his plan too? Can J. D. and Maria be together despite their differences or will those differences keep them apart? I’ve never read a book by Chris Fabry before today and after this exciting book I’m a little upset with myself for not picking up one of his books before now! The imagery and intensity of this book was memorable and made me want to find another one of his books and dig in. I had no idea what I was missing but if any of his books are like this one, sign me up for more from him. I have just become a fan! My favorite part of this novel has to be the imagery. He described the desert as only a person who lives there could. It may be October but I felt the scorching heat and saw the flat sun bleached terrain like it was July. I’ve read quite few books set in the desert but the author never really dwelled on what desert heat felt like until Chris Fabry. His descriptions are exactly what my sister and I complained about more times than I can count and completely described desert living. Even in air conditioning you sweat! The completely accurate descriptions in this book have to be my favorite part. The suspense in this book is one part action and one part mystery. You know who’s chasing them in the beginning but you have no idea why or what he really plans on doing. Though parts of this seem unrealistic to me (I mean who can really outrun and outsmart several trained assassins), some parts felt realistic and realistic or not it definitely kept me on the edge of my seat and also gave me a new perspective about illegal aliens in my state. This book had an attempt at a romance, though the suspense took center stage, and though it wasn’t terribly romantic or very memorable I did enjoy it. I think it has more to do with the circumstances of their meeting more than anything, but for some reason I thought that they made a nice couple and enjoyed reading their somewhat romance story. I think it was one the best romances that I’ve gotten from a male author yet. Before now Chris Fabry has been a name I was familiar with but never read and now that I’ve enjoyed one of his novels, I don’t want to go back. I’m now a fan of his work and want to read anything else he has to offer whether it be western or romance. He completely captured me with his suspense and his accurate description of the terrain I call home definitely earned him some brownie points in my book. I highly recommend this book. Overall, great book. It had some flaws but nothing that really detracted away from the amazing story. This is perfect for people who love suspense novels. This book is best left to the adults and maybe mature teens. I give this book a four out of five. Ellie Ballantyne leaves finishing school in the spring of 1822 and returns to her family home in Pittsburgh. When she arrives home, she finds that her parents are away and her siblings don’t seem like they want her around. Determined to stay as find her place in the world, Ellie opens a day school for young ladies. She has no idea what her school will lead to or how it will effect her future. Jack Turlock isn’t glad about the sea of his sister going to a day school, in fact he’s out right opposed to it, especially with the school being run by none other than Ellie Ballantyne. With slaveholder a and whiskey magnates as a calling card, Jack knows that Ellie could never be involved with someone like him. His father is a sworn enemy of Silas Ballantyne and is envious of his power and suspicious of his abolitionist leanings. If only Jack could stop thinking about something that will never be. When Ellie gets the opportunity to teach Jack’s little sister she takes it, not knowing how involved with the Turlocks she will become or how attached to Jack she will get. When life seems to try and rip them apart Ellie must make a critical decision to either pick her family or cross enemy lines and side with the enemy, Jack. Jack must also realize that the way that works is God’s way and must find a way to break the chains of his father’s past. Can Ellie find her place in life or will she be lost and alone forever? Will Jack be able to realize that he isn’t his father or will he carry his guilt to his grave? Can Ellie fall in love with Jack and still keep her family or will she have to choose one or the other? Can Jack find God or will it be over before he has the chance? What will Ellie’s parent’s think when they find out about Ellie’s love for Jack? 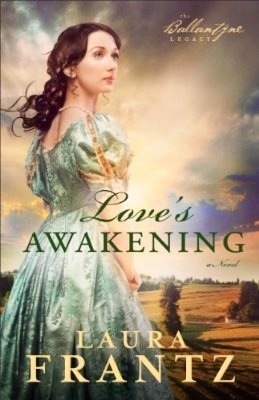 After reading Love’s Reckoning I knew that I would have to read the next in this series and that it would be even better than the first. I was right. This book tugged on heart strings and actually made me cry! I can’t believe the emotions that were packed into this book and the tender yet passionate romance that wrapped around it. I was captivated yet again by the craftsmanship of Laura Frantz and I absolutely can’t wait for Fall 2014 to read the next book in the series. The romance in this novel was one of the best I’ve read. It combined an emotional connection and some passionate moments and just made the romance seem realistic, heart-tugging, and beautiful. The romance in this book was similar to the first in the sense of theme. They both were about forbidden love, which for some reason captivates and moves us all. I can’t believe how well this romance was put together. The storyline was impeccable. I got caught up in the story and was disappointed when it was over. It was full of intrigue and suspense, not to mention the awesome romance. It also gave a glimpse into the lives of those that smuggle slaves out of danger. I learned a lot and felt emotions that I very rarely feel from a book and I loved it so much. I absolutely have to read more from Laura Frantz! The thing I liked most about this book was Ellie. Her character is rich and has always been, has gone to finishing school, and has every extravagance known to man yet she’s a very down to earth character and I loved her. She never came across as spoiled and I never once felt like she felt better than anyone. Because of that her character was very much a lovable character to me and I felt that she had amazing character development and was a strong character despite her appearance. Laura Frantz captured me again! I’m shocked at how well she put together tis book and got my emotions involved. Any book deserves a great rating if it can make me cry. That’s a fear not many have accomplished. Laura’s impeccable storytelling skills and understanding of human emotion made me never want to put tis book down. This book, series, and author come very highly recommended. Overall, I loved this book! I don’t even have any complaints about it. I wouldn’t change a thing. 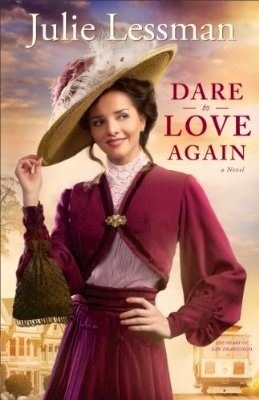 Tis book is perfect for someone who wants a historical fiction romance about forbidden love. This book is best left to adults. My rating of this book is five out of five. Keelyn Blake is still haunted from the tragedy five years ago when her stepfather took her family hostage, raving about Lucent, a being who forced him to commit unspeakable acts. Some of the family made it out alive, the rest didn’t. Now, Lucent is back and this time he’s no hallucination. He kidnapped Keelyn’s niece and despite the fact that she’s estranged from her sister, Raven, she feels compelled to save what little family she has left. If only that was the end of it. Lee Watson was there the day Keelyn’s life changed forever and even being the best hostage negotiator the FBI has couldn’t stop a madman from taking the lives of his family. For years he’s lived with the guilt of not being able to stop the standoff that day and trying to bury his past as deep as he can. He now must also protect his fiancé and face the possibility of having a ready-made family, something he never wanted. All while trying to keep his past buried when it seems like someone’s determined to dig it back up again. As people who were involved in that fateful day start dying under mysterious circumstances, Keelyn and Lee fight to stay alive and together, but Keelyn knows lee’s hiding something and that secret could be the very thing that tears them apart. Also, with Raven missing and Keelyn targeted by a killer, Raven’s daughter faces foster hood and Lee faces losing the woman he loves. But in order to keep her he may just have to tell her his deepest secret. Will Keelyn be able to forgive her stepfather for what he did? Will Lee tell her his secret or will he lose her? Will Lee end up loving Raven’s daughter or will he give up everything to not have a ready-made family? Where is Raven? Who is killing everybody and why? What are they using? Will Keelyn and Lee be able to solve this before the body count rises too high? 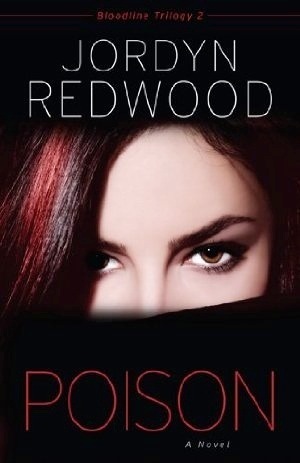 Having read Jordyn Redwood’s first novel, the first in this series, and not loving it, I started this book not quite knowing what I would get. I was hoping for a better suspense than I got last time and I got it. This suspense is actually really good. It seems like this author took the constructive criticism to heart and jumped leaps and bounds ahead of what I thought was coming. This book is an amazing second novel and a really good well-rounded suspense novel. The best part about this book was the fact that it kept me on my toes. I never knew, until the end, who really did it because a character was innocent or manipulated one chapter and the next completely ruthless and a murderer. It was exciting and gave this novel an edge. This author is great at surprising me and her medical expertise shines through in the snippets of hospital scenes we get. This book was significantly better than her first and is actually one that I can say is a favorite. Because of this author’s struggle to establish a solid romance and mystery in her novel last time, I appreciated the fact that this was already an established relationship and instead of seeing this couple fall in love we get to see them grow stronger from the trouble they go through. That was a nice refreshing change from the normal suspense novel. I think this style suit her right now and I think she will do fantastically next time with a romance. The concept of this book is amazing, yet completely believable. It seems like given the right circumstances something like this could happen. I also gained some knowledge about a horrible little bug that seems to thrive where I live, the black widow spider. Her use of them was genius and the reasons the characters had were just plain maniacal at some points and misguided in others. The characters that were suspects were realistic and had many facets to their character adding much to this story. This author caught my attention with her first book and captured my heart with this one. This was a great suspense not just for a beginner but for any suspense author. I look forward to reading more from her and am excited to see how she’s going to end this series. This author’s improvement astounded me and solidified my belief that she is a fantastic author and is going to be here for a long time. This book comes highly recommended. Overall, this is a fantastic book. The suspense is unique and keeps you on your toes. The improvement this author showed amazes me and makes me a huge fan. I highly recommend this on to people who love suspense novels. This book probably isn’t best for younger readers, but adults definitely and teens maybe. I give this book a four out of five. Jessica Morgan wants desperately to forget the past and begin a new life. She chooses a small, peaceful town tucked away in Oregon’s Willamette Valley as the place to start over – Glenbrooke. Jessica wants a fresh start so much that she conceals her identity from everyone she meets including the handsome compassionate paramedic that seems interested in more than friendship. Kyle Buchanan has had his share of heartbreak and loss. He wants to start moving on but doesn’t know how to, but when he meets Jessica, he starts to consider what life might be like without grief weighing him down. If only she trusted him enough to share her secrets with him. He’s willing to protect her from whatever she’s running from if only she would tell him what it is. The closer Kyle and Jessica get, the more Jessica struggles with keeping her identity a secret and her past behind her. She wants to trust Kyle with her past but trust isn’t something that comes easily for her. The last thing Jessica wants is to lose him because of her past but she has to decide if it’s worth the risk to fall in love with an amazing guy. Her choices don’t just affect her anymore and she’s scared it might all com crashing down with one utter of he past. Will Jessica be able to trust Kyle with her secrets or will she remain untrustworthy about everything? How will Kyle react to Jessica’s secret? Will he stick by her through it or will he abandon her when she needs him most? Can Jessica start over in Glenbrooke or will her past’s tentacles reach even to Oregon? This author is a best seller and sold a ton of copies, so when I got the opportunity to review a book by her, combined with the synopsis, I jumped at the chance. However, I’m afraid the story fell short of my expectations and left me wanting. This book had great potential but the storyline ended up being a huge miss for a great book. 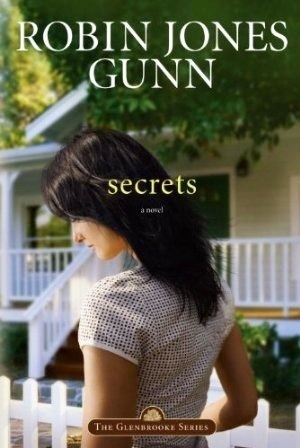 This is this author’s firs adult fiction so I’m hoping that maybe her next ones will be better. The storyline premise is amazing, but the execution wasn’t. Most of the stuff in the book wasn’t realistic. For one, I don’t live in a really tiny town but last time I checked day old bread doesn’t cost 69 cents. Two, I highly doubt that a church would let a woman who doesn’t go to their church or even have a solid relationship with Christ chaperone a mission trip. Three, her secret was horrible and her reasons for leaving were okay but the way she let was just uncalled for and an over exaggeration of the situation. Four, if you leave home and have access to money wouldn’t you use some of it? She only uses 300 dollars and then only has like 14 dollars for three weeks worth of food. Not happening. I think this book could’ve been executed so much better. The romance wasn’t the best either. Kyle was so perfect and was willing to take care of a perfect stranger, which is noble just not practical. Jessica was full of secrets, secrets that weren’t even worth keeping. Besides most of this “romance” was taken up with watching our protagonist almost starve to death and being too proud to even ask to borrow a little money from her friend. This romance wasn’t the best but I’m sure it wasn’t the worst either. Even the spiritual transformation Jessica goes through isn’t very climactic. I’m not saying that every transformation has to be but she gave her life to Christ and it’s not really mentioned again, other than to inform her friend and Kyle. That was extremely disappointing because I feel like this book would’ve been better if we could’ve seen her grow in Christ and seen her grow after her giving her life to Christ, but it was not to be making to the list of disappointments. This was this author’s first adult book and I feel like maybe her more recent novels are better but this book wasn’t up to my standards, which admittedly are high. I love this author and her take on teens, but if this is the best she’s got, though I highly doubt it is, I think she needs to stick to teen books. I do intend to read more from this author but I won’t be quite as excited next time. This book isn’t really recommended. Overall, this wasn’t a very good book. It’s this author’s first adult book an it shows. This book is best for those who are looking for a good story and aren’t looking to analyze it, like I have to. This book could be read by mature tween and teens but it’s probably best for adults. I give this book a two out of five. Charlotte has had a long hard year after losing her husband and giving birth to her son. Trying to escape the ghosts of her past, she flees to Cheyenne and is now trying to put the pieces of her life back together. If only she can shake the feeling that her past is coming back to haunt her. As Charlotte tries to forget her past and raise her son, she doesn’t have time for romance or for the man of her nightmares to make an appearance. Barrett Landry is a wealthy cattle baron and political hopeful and must have a sensible match if he wants to be the elected senator of the soon-to-be state of Wyoming. He needs someone with connections and he finds that someone. There’s just one problem, he doesn’t love her and the one person he could see himself spending the rest of his life with not only doesn’t have connection she has a past too. But he can’t shake the feeling that she holds the key to his heart and his future. As Charlotte and Barrett get closer, so does Charlotte’s past and Charlotte can’t help but be scared that her whole future will come crashing down around over her husband’s choices. With an engagement expected of him, Barrett must make a choice. Marry someone he doesn’t love for connections or marry someone he loves without connections. With past and present closing in on them, this couple must make a decision on what is truly important. Will Charlotte be able to conquer the ghosts of her past or will it tear her apart? Will Barrett make a decision of love or status? Will Charlotte’s past come after her for something she doesn’t have or is she just wing paranoid? Who is the mysterious baron coming for her? Will the baron kill her and her son or will she be able to survive? I read the first book in the series and liked it, but I didn’t love it and though this book might not go into the “love” category, it’s closer to it than the first. I never usually say this, but I actually enjoyed this one a tad more than I liked the previous one. Maybe it was the storyline or characters, I don’t know. All I know is that this author definitely wrote tis book well and I truly enjoyed it. The romance in this book wasn’t passionate and any kisses or such was held until the end. 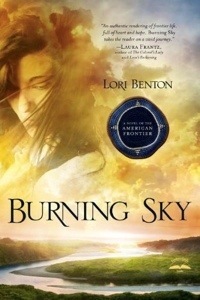 Normally that turns me off to books, but in this case the emotional connection between the characters kept up the romance and because of it you didn’t fully miss the kisses, etc. There was also a side romance that went on and it served two purposes. It allowed a huge conflict to be resolved and it allowed the reader to get another romance fix. This romance is what I would categorize as cute. The storyline was awesome! A widow mother with a blind son who ran from a man who wants what her husband found and now she supposedly has meets a rich cattle baron that wants to become a senator and is willing to marry a woman he doesn’t love to do that. How awesome is that? The whole story blended well together and I never felt that one aspect was getting kicked to the curb for another one. The author made everything come in when it was supposed to and pushed things aside when it wasn’t appropriate. She definitely has an uncanny sense of timing. I loved it. I loved the dash of suspense that was injected into the story as well. It improved the story and gave a bit of excitement and conflict. The suspense wasn’t overwhelming and didn’t really give any mystery, but it did give you some doubt as to how the book would end. Though the book didn’t end on a terribly unique way, it did end in an unexpected way and I found that I loved it. With slight disappointment in the first book in this series, I didn’t really expect much from this book. I pleasantly surprised when I got a better storyline and romance. If this is how the rest of the series is going to continue I can’t wait to finish this series and read more from this author. I really enjoyed this book and I’m actually really excited to finish this series and read more from this author. This book comes highly recommended. Overall, I enjoyed this book. It all blended well together and is an overall good read. 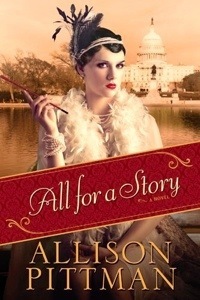 I highly recommend this to anyone who loves historical romances. I think this book is best for adults and teens and isn’t great for anyone younger. I give this book a four out of five. To be honest, this particular invitation seemed very strange to me since I am in women’s ministry and had been writing His Princess books. I remember sitting at my desk and just staring at the e-mail invitation, battling to believe God would open this door for me to address five thousand men. Even harder for me to believe was that I could ever convince these men to listen to me about what women want. I fell to my knees and cried out to God, “Who am I to speak into these men’s lives about loving their wives? What right do I have?” As I prayed, I felt my inward battle to believe being conquered by an overwhelming desire to make a difference. I dared to believe God would do something bigger than I could ever do on my own—birth a new beginning between men and women. My heart began to break as I reflected on the countless women who had shared with me the painful places they had walked through with the men they loved. These good women of faith had wonderful hearts and believed in their marriages. Yet they had been left alone to defend themselves and their children after their marriages were destroyed by infidelity, neglect, or abuse. Even the women who were determined to remain married struggled to believe their marriages could ever be truly meaningful and reflect real love. As I continued to pray about accepting this invitation, God brought back to my memory the painful night in my childhood when my dad stumbled into my room with tears in his eyes and fear on his face. He knelt at the foot of my bed and broke the news that he and my mom were divorcing. I realize now that he had lost his will to fight and had no idea how to save his marriage or our family. Next I thought about my own marital struggles and the years of tears and trials it took for my husband, Steve, and me to rebuild a solid foundation for our marriage. In spite of my insecurities, passion and compassion compelled me to take a step of faith. I surrendered to this invitation in an effort to bring transformation to these men and their marriages. Once I committed to the speaking date, I became desperate for God to give me the words, kindness, courage, and wisdom I would need to stand before these men. Forgive us . . . for blaming you for all that has gone wrong in our lives and for making you pay the price for all the men who hurt us—even if it was not your fault. Forgive us . . . for holding on to the past and making you feel like you don’t deserve to be forgiven or have a fresh start. Forgive us . . . for trying to conquer and compete with you—when we were created to complete you. Forgive us . . . for the way our words and our actions have publicly dishonored, discouraged, and disrespected you. Forgive us . . . for using our beauty and our bodies to weaken your flesh and control you. Forgive us . . . for all the mind games we have played with you and the manipulation we have used to get your love and attention. Forgive us . . . for forgetting to make you feel like the heroic men we desire you to be in our lives! I took a deep breath and then respectfully asked their permission to speak into their lives about their relationships with their wives. I asked if I could help them understand the heart of a woman; to attempt to explain how we are wired and what we need from them to feel safe, secure, and loved. I assured them my goal was to give them Christ-centered, creative ways they could rescue, romance, replenish, and repair the women they had possibly hurt. I was taken aback by their response: the men stood to their feet and gave me a standing ovation before I even began sharing my message. There we are. Next week is our last week. We’re almost done with our adventure and I really enjoyed it. I really want to do this again. See you next week.